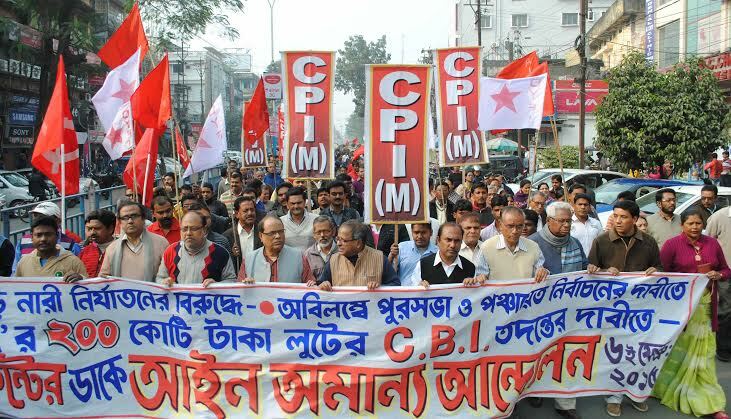 The two-day meeting of CPI (M) West Bengal State Committee took place on 6th and 7th January. Surjya Kanta Mishra presided over the meeting. Biman Basu, the state secretary, placed the outline of discussion in the outset. Experiences of the party conferences of different tiers have been discussed. State Committee members discussed the experience of different districts and said that the people’s participation in the movement and campaign programs convened by the Party and Left forces is on the rise. Agitation, deputation, blockade programs were undertaken regarding demands of the peasants including demand of legitimate price of crop. 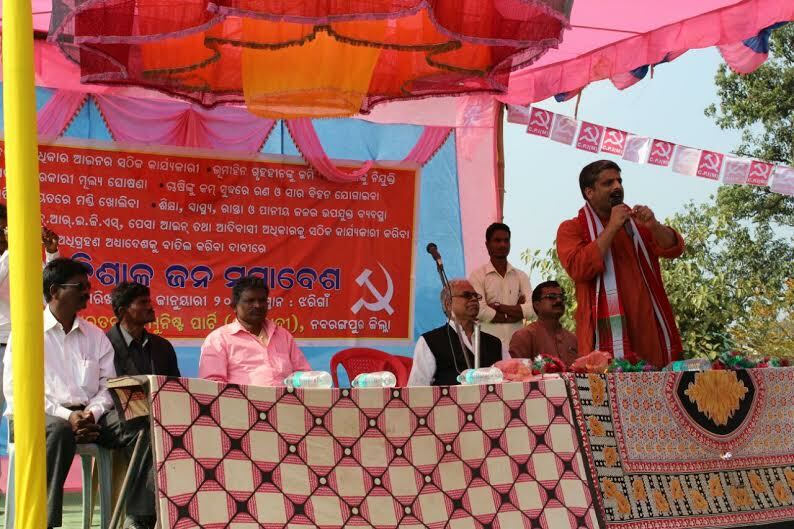 Statewide meetings in the demands of the unorganized workers got good response. 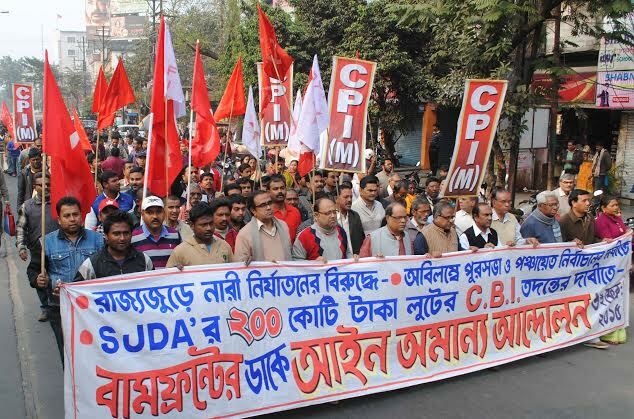 Programs against the chit fund scam witnessed spontaneous response. 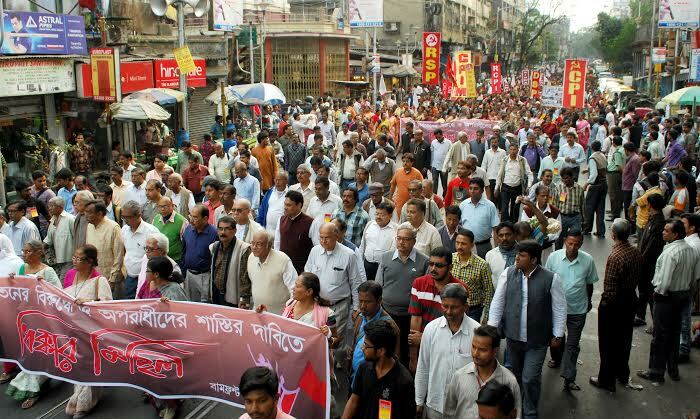 Participation of the people in the programs against anti-people economic policies of state and centre, as well as the campaign against the communal forces was noteworthy. 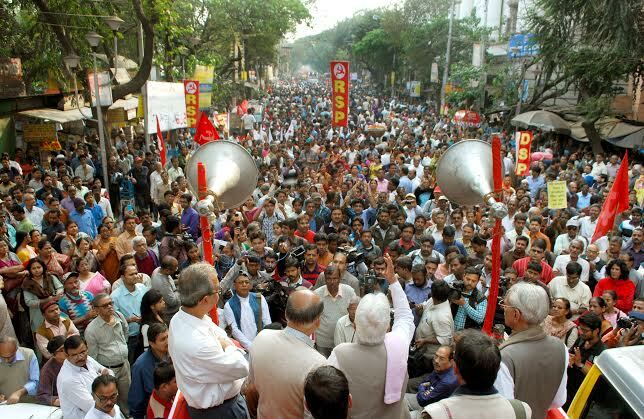 Joint programs of Left Front and Left parties have created a new force in this period. It was decided that campaign will be organized against anti-people amended Ordinance on the Land Acquisition Act by the central Government. 23rd January, birth day of Netaji Subhas Chandra Bose, will be observed as ‘Desh Prem Divas’ (Patriotism Day) in the state. 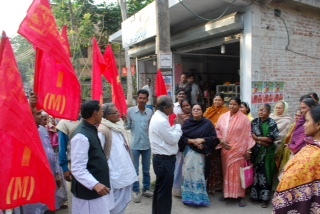 At the call of Left Front the program will be observed around the state. Especially the aim of the program will be to strengthen the value for patriotism among the youth. 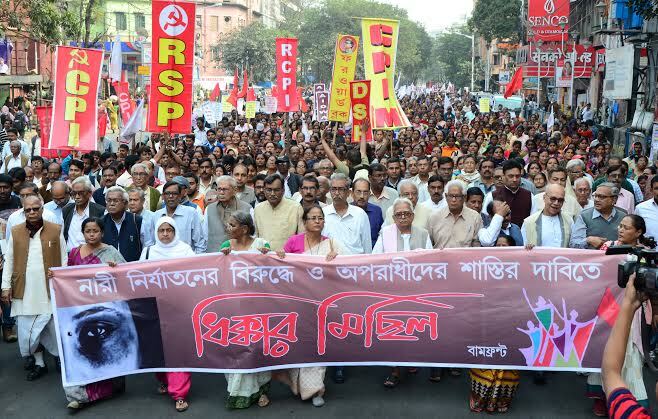 To protest against inviting US President in the auspicious occasion of celebration of Republic Day, against imperialist intervention and with the call to protect sovereignty of India 24th January will be observed as Protest Day at the call of the Left parties in the entire country. 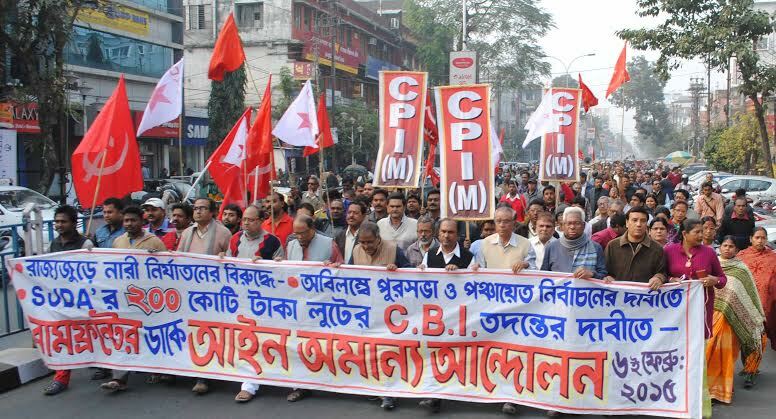 The program will also be observed in the state and central rally will be organized in Kolkata. 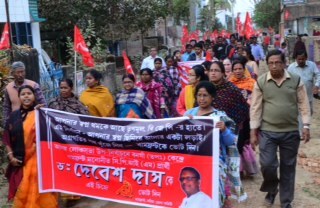 Human chain program will be observed on 26th January at the call of West Bengal Left Front Committee to hold high the idea of anti-imperialist and anti-communal heritage. 30th January, the assassination day of Gandhiji, will be observed as ‘Harmony Day’. Communal forces are becoming agile in the country; Hindu communal forces are trying to establish the killer of Gandhiji as a brave man. In this context, ‘Harmony Day’ will be observed to hold high the ideology of secularism.